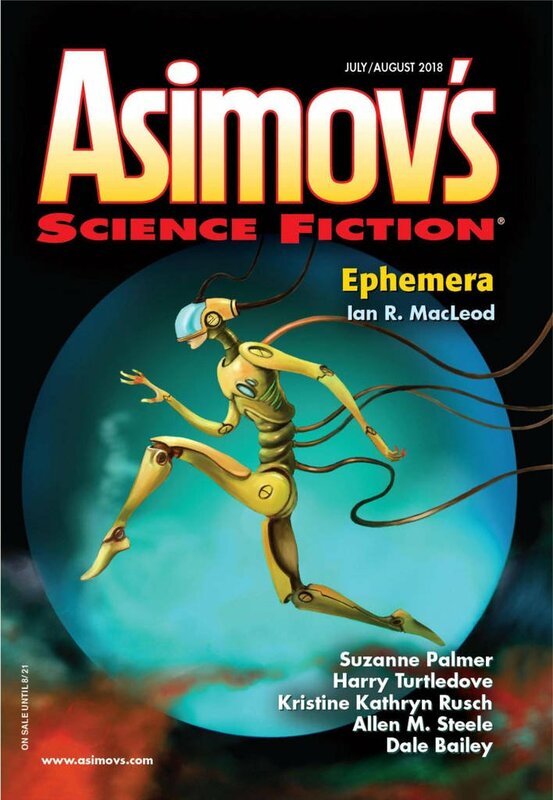 "Attachment Unavailable," by Leah Cypess [bio] (edited by Sheila Williams), appeared in Asimov's Science Fiction issue 07-08|18, published on June 15, 2018 by Penny Publications. The gradual realization that Fiona is an alien intruding in the group—like Russians influencing the 2016 election—is suitably creepy. Con: The story starts as humor but ends as horror, and that didn’t really work for me.